As you all have heard by now, the 2013 New England Patriots will look nothing like the 2012 version of New England’s favorite football team. Tom Brady’s top 5 receivers, and 6 of the top 8, from 2012 are either gone (Welker, Lloyd, Hernandez, Woodhead, Branch) or will likely start the season on the PUP (Gronkowski). The new infusion of receivers is led by Danny Amendola, and consists of several rookies that were productive in college, but as we all know, that is not a barometer of success in the NFL. If you listen to sports talk radio, read the local newspaper, and have Patriot-based conversations with your buddies, you are sure to have heard about how tough of a transition that 2013 will be for Tom Brady, how much the Pats will have to rely on the run game, and how the Miami Dolphins might challenge the Pats for the AFC East. Well, never fear, Mattyoshow is here is dispel these ridiculous notions and assure you why the 2013 version of the New England Patriots will contend for yet another Super Bowl. Offensively, the Patriots are expected to have some difficulty. As I previously mentioned, there has been a lot of turnover at both wide receiver and tight end. However, unlike most, the turnover doesn’t worry me. Let’s start with what we know to be fact. 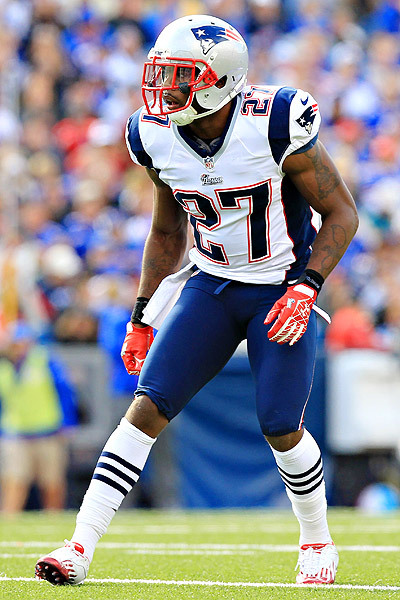 Stevan Ridley rushed for 1,263 yards in 2012. Ridley ran for all of those yards while Tom Brady was completing 401 passes for 4,827 yards and 34 touchdowns. Ridley ran for all of those yards while only taking 55% of the teams carries (290 of 523 total carries). Stevan Ridley ran for all of those yards behind an offensive line that was able to dominate the line of scrimmage at various points in games. That is the same offensive line that is returning all 5 starters for the 2013 season, while also grooming dominant run blocker Marcus Cannon to be their new starting right guard. Aside from Ridley, the Patriots backfield will contain an improved and more experienced Shane Vereen, two short-yardage specialists in LaGarette Blount and Brandon Bolden, and a proven change-of-pace back and return specialist in Leon Washington. I expect the New England Patriots’ run game to be a force in 2013, and will help take some of the load off of Tom Brady. While many are predicting a near-apocalypse for the Patriots’ receiving corps, I think that they will produce well. If we begin to consider pure talent, the 2013 New England Patriots might boast their most talented group of receivers since 2007, when the Pats had Randy Moss, Wes Welker, Donte Stallworth, Jabar Gaffney, and Kelly Washington (and I wouldn’t be ready to induct that group into the Hall of Fame). Amendola has proven that he can produce when he stays on the field. Even with that said, I’m not as concerned with Amendola’s health as almost everyone else is. Amendola tallied 14 games in 2009 and 16 in 2010 with the Rams. In 2011 he suffered a rare elbow dislocation that cost him all but 1 game, and in 2012 he fell victim to a freak clavicle dislocation (which was millimeters from killing him), where he only missed 5 games. Julian Edelman has produced in the Patriots’ system before, and will have to take a step forward in 2013. Aaron Dobson and Josh Boyce are rookies, but all reports from training camp have portrayed them as being very studious, picking up the offense quickly, and making an impact in practice. 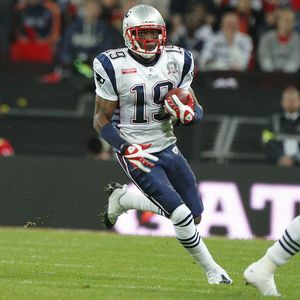 The Patriots tallest receiver in 2012 was Brandon Lloyd at 6’0”. Aaron Dobson is 6’3”. Undrafted rookie Kenbrell Thompkins has been receiving high praise from the coaching staff and defensive players. Kenbrell Thompkins is 6’1”. Aqib Talib is on record speaking about Dobson and Thompkins saying, “[Dobson’s] got good releases off the line, that’s what I think he does real good. Him, KT [Thompkins], they’re both pretty good at releasing off the line. I don’t know what it is, speed, quickness, strength. You either got it or you don’t. They got it.” That’s pretty high praise for a top-notch NFL corner. Will there be some learning curve associated with plugging in this many new pieces? Yes, absolutely. Will Tom Brady still be Tom Brady in 2013? Yes, absolutely. Will the 2013 version of the Patriots’ receiving corps be able to produce similar numbers to the 2012 version? Yes, absolutely. Arguably the biggest reason in my mind that the 2013 New England Patriots will once again contend for a Super Bowl is because of one thing, defense. The defense for the New England Patriots will dominate in 2013. After years of gathering talent, this is a group that is ready to impress. Reports from training camp indicate that Devin McCourty has been splitting time between corner and free safety. This off-season, they resigned Aqib Talib and Kyle Arrington. Pending an unforeseen result from his August DUI hearing, Alfonzo Dennard will be looking to retain his spot as the starting corner opposite of Talib. Don’t forget about Ras-I Dowling as well, who has a ton of talent (if he can ever stay on the field). Aside from those veterans, the Patriots also have brought in some young talent at corner in 3rd round draft pick Logan Ryan and undrafted free agent Brandon Jones. The Patriots are also loaded at safety, with Adrian Wilson taking most of the 1st team reps at SS. He has been spelled by Steven Gregory and Tavon Wilson. The Patriots also have young safeties Duron Harmon and Nate Ebner getting reps as well. Even with the depth in the secondary, the strength of the Patriots’ defense is in the front seven. No matter the front (whether 4-3 or 3-4), the Patriots are loaded up front. The linebacking core will consist primarily of Jerod Mayo, Brandon Spikes, and Don’t’a Hightower. In the 3-4 front, Rob Ninkovich will kick outside to be their 3-4 OLB opposite of Hightower. Up front, Chandler Jones and Nonkovich will start at defensive end, with Wilfork and newcomer Tommy Kelly plugging up the middle. There is a ton of talent in the group that I just mentioned, but the depth of this Patriots team is what will make them excel. In passing situations, the Pats will be able to substitute in Armond Armstead, who is a pass rushing defensive tackle, to pair with Wilfork/Kelly on the inside. In 3rd and long situations, the Pats can bring in rookie linebacker Jamie Collins, whose athleticism makes him a scary defender for lineman to block, to group with Hightower, Jones, and Jermaine Cunningham to create an awesome pass-rushing package. Do not forget about Justin Francis, an undrafted free agent in 2012 that showed he has the skill to rush the passer in the NFL (10 tackles, 3 sacks in 2012), and 2012 3rd round pick Jake BeQuette that will look to contribute in 2013. As you can see, the Pats are absolutely loaded up front, which should correlate to a much-improved defense in 2013. Keep tuning into your favorite sports radio station. Keep reading your morning newspaper. Keep having Patriot-based conversations with your buddies. By all means, formulate your own opinions and stick with them throughout the season. However, when it’s the end of December and we are looking at a New England Patriots team that is 12-4, won the AFC East by 4 games, and boasts a top-5 offense and defense in the NFL, don’t say you didn’t see it coming. Just remember, when the Pats are fighting for another shot at a Super Bowl, Mattyoshow tried to tell you that this was going to happen it August. Even if 2013 is a miserable season for the Patriots, God is on our side…because we’ve got TEBOW!! -As I was listening to the radio yesterday as I was driving back down to ‘Gansett before the Pats game, one of the more rational anchors of the show made a very good point. He explained that even after one game of “spot duty,” we as fans knew relatively little about Matt Flynn. The only people that truly knew what Ma tt Flynn was made of were the coaches of the Green Bay Packers. For all we know, Matt Flynn could very well be the next Tom Brady, or he could be the next Max Hall…your guess would have been as good as mine. 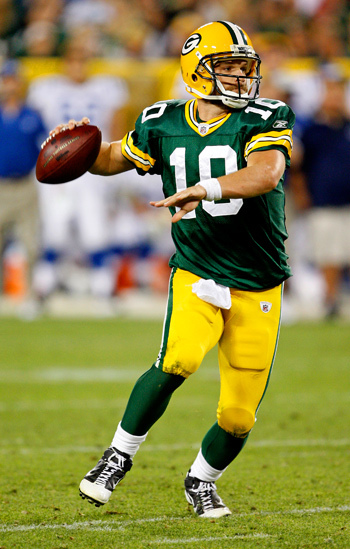 Although the sample size is very small, Matt Flynn took a great leap in gaining my respect on Sunday night. Against a pass defense that looked to be improving by the snap, Flynn completed 24 of his 37 pass attempts for 251 yards, 3 touchdowns and only one interception. I would have been willing to bet nearly all of the money in my bank account that Tom Brady would have outplayed Matt Flynn on Sunday night, but thankfully I didn’t because I would be a very broke dude. -Speaking of the pass defense, even with Flynn’s numbers being pretty good I did not think that the Patriots pass defense played poorly. In my opinion, it looked like the game plan coming into Sunday night was to play primarily defensive-back-heavy packages, let the Packers catch the ball underneath, and tackle them before they broke plays for big yardage. In that sense, the defense was quite effective. The Patriots dressed nine defensive backs for the game (four corners and five safeties), so you knew that they would be in nickel and dime coverage for most of the contest. Only one pass play for the Packers went for over 20 yards, and that was the deep ball thrown to James Jones where Brandon Meriweather decided to light up Devin McCourty rather than Jones. The Pats’ pass defense contained the Packers top two wideouts in Greg Jennings and Donald Driver, limiting them to a combined 7 receptions for 61 yards and a touchdown. The Patriots knew that the Pack’ were going to line up and sling the ball all around the field, and in my opinion they did a good job of containing it. -Defensively for the Patriots, three players deserve mention above the rest. Jerod Mayo, Vince Wilfork, and Devin McCourty all played spectacular games and were integral in the Patriots ability to pull out a win on Sunday. Mayo continued on his campaign to lead the NFL in tackles, and possibly get some consideration for defensive player of the year, amassing 16 total tackles (10 solo). Mayo again was all over the field, filling run lanes whenever possible and making plays on underneath passes. I’m amazed with how much progress he has made in only three years in the NFL. Mayo and Spikes will be one of the more formidable inside linebacker tandems for years to come in the NFL. Devin McCourty improves every single game. Aside from being burned on the deep James Jones pass mentioned earlier, McCourty had tight coverage on every other ball thrown his way. You can’t ask much more from a corner when he finished a game with 10 tackles (7 solo), one sack, two tackles for loss, and one pass defended. This kid is making a serious run at defensive rookie of the year. What more can you say about Vince Wilfork? Wilfork made a name for himself as one of, if not the premier nose tackle in the NFL, and now has essentially made a semi-transition to defensive end, and continues to be a game changer along the defensive line. Wilfork’s impact on a game rarely shows up in the stat line, but if you study him for a consecutive string of plays, it is amazing how often he diverts run plays, stuffs the running lanes, push the pocket, and just cause complete havoc. The Patriots are lucky to have a guy like Wilfork up front, and him being a leader of this young defense is just icing on top of the cake. -Offensively, the Patriots weren’t great, but they did what needed to be done. The Patriots how now scored 30+ points in six consecutive games, but this was the toughest thirty of that entire stretch. Dom Capers (former Patriots secondary coach and special assistant and current Green Bay defensive quarterback) had the best defensive game plan against the Pats that I have seen since the Cleveland game. Capers used various stunts and blitzes along the defensive line, allowing his players to sack Brady three times. Their pressure disrupted the Patriots offensive rhythm, limiting their effectiveness in the passing game (leading receiver: Wes Welker, 3 receptions, 42 yards). The run game never really got a chance to get started as the Patriots fell behind early in the second quarter and were not able to regain the lead until mid-way through the fourth. That all being said, the offensive did enough to pick up a victory, and in the end that is all that matters. Oh and by the way, welcome back Aaron Hernandez. -Whew! That game was much closer than it had to be, but what else could be expected when the team on the opposite sideline is led by arguably the greatest quarterback to ever play. Peyton was sent out their with his top three wide receivers (Wayne, Garcon, and Collie), but lost Collie by the end of the first quarter, and the tight end Tamme couldn’t seem to catch anything meaningful (even though he finished the day with 7 catches for 60 yards, he had a few key drops in the red zone). Interceptions by Devin McCourty, Brandon Meriweather, and James Sanders were all wonderfully timed, proving to be huge momentum changers (McCourty and Meriweather) and game sealers (Sanders). The secondary was exposed a bit as Manning through for almost 400 yards and 4 touchdowns, but came up with big plays when needed. -What more can be said about Jerod Mayo that already hasn’t been. This guy is playing like a flat-out animal. On Sunday he racked up another 11 tackles (with 4 assists) which gives him 120 combined tackles on the season, according to NFL.com. Mayo seemed to be in on many more plays than the stats imply, making stops on almost every crossing route that the Colts tried to run. The Colts, who tallied up a surprising 20 carries, but only amassed 71 yards. That lack of rushing production was due in part to Mayo’s effectiveness, but also to the play of Vince Wilfork, Gary Guyton, Jermaine Cunningham, and Brandon Spikes. It was an all around solid effort to slow the Colts’ rushing attack. -I was very disap pointed with the Pats’ inability to pressure Peyton Manning. Granted, the Colts give up the fewest sacks in the NFL, so getting to him and putting him on the ground isn’t easy, but it’s not impossible either. Cunningham and Banta-Cain couldn’t seem to generate a consistent enough pass rush to disrupt Manning’s rhythm. That being said, James Sanders’ game sealing interception (on a drive where the Colts looked destined to score and win the game) was caused by pressure put on Manning by Tully Banta-Cain. So, to be optimistic, I guess it could be said that the pass rushers have very good timing, but they need to do a better job more consistently reaching the qb. -186 yards and 2 touchdowns is a stat line that you expect from Colt McCoy or Josh Freeman, not Tom Brady. But, as we all know stats can often be very deceiving. On Sunday, Brady delivered passes with pin point accuracy, connecting on 19 of his 25 passes. Brady spread the ball around to six different receivers. Noticeably missing from the stat sheet once again was speedster Brandon Tate. Wonderfully showing near the top of the stat sheet was Wes Welker (5 catches, 58 yards, 1 touchdown), who grabbed his first touchdown since week 2 and has performed well in the second consecutive game. I have made a big deal out of Welker’s ineffectiveness since the Moss trade, and I’m not ready to abandon my stance on that just yet. Tate still needs to become a bigger part of this offense before Moss will become a distant memory. But, Welker’s revitalization is something the certainly has me excited for the upcoming weeks. In this segment I will provide a weekly review for the previous weekend’s Patriots game, as well as my prediction for next weekend’s game (except for this week because the Pats are on a bye in week 5). -Right off of the bat, I was surprised with the starting defensive unit. Tully Banta-Cain didn’t get the starting nod (as we all would have expected) at outside linebacker. Instead, the two starters were Jermaine Cunningham and Rob Ninkovich. According to my sources, the coaching staff hasn’t been very happy with Banta-Cain’s performance and work ethic as of late, so giving away his starting spot may have been a ploy to start a fire under him. Banta-Cain is arguably the team’s best pass rusher, so any less playing time for him will not benefit the Pats’ defense. -Speaking of Rob Ninkovich, give that man the game ball. Ninkovich singlehandedly save the game for the New England Patriots. The 41-14 final score tends to overshadow how easily the Dolphins were moving the ball in the first half. Ninkovich’s two interceptions came on two drives where the Dolphins looked certain to score. Combine the interceptions with a sack and Ninkovich was a huge reason that the Patriots won the game. -Hopefully Belichick brought two balls to give away in the locker room because Patrick Chung deserves a game ball too. The 20 year old second year player out of Oregon was lights out on Monday night. His defensive contributions were good. He only amassed three tackles, but added a late game interception that put the nail in the coffin. His contributions on special teams were amazing. I don’t think that I have ever seen a guy block two kicks in one game. A blocked field goal (which led to a touchdown) and a blocked punt were hugely pivotal plays in the game. In my opinion, Patrick Chung and Rob Ninkovich were the sole reasons that the Pats won the game. -I realize that the offense didn’t have the ball for that much time because of the scoring by the special teams and the defense. That being said, the passing game didn’t look good. Tom Brady went 19/24, but racked up only 153 yards and one touchdown. The Patriots had only two offensive touchdowns, one pass to Woodhead and one rush by BJGE. In order to win the division and make a run in the playoffs, the Patriots need to be able to rely on their offense for at least 28 points per game. Consider defensive and special teams scores as added bonuses. The bye week will help build some more chemistry between Brady and all of his targets, hopefully leading to some huge numbers through the air. -Vince Wilfork played a lot of the game at the end position. Today on WEEI, Belichick explained that the Dolphins like to run off tackle plays, which led to the switch putting Wilfork out wide. Mike Wright played the nose to start the game, with Gerard Warren at the other end. 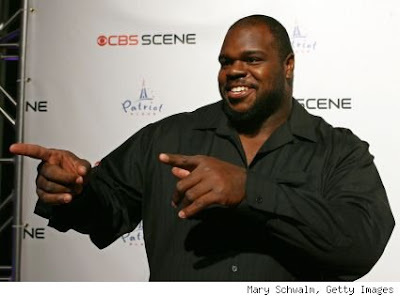 Right now, Vince Wilfork is the Patriots best defensive player. If moving Wilfork around means that your defense is better, than I’m all for it. But, let us not forget that this guy weighs 330lbs. after sitting in a sauna for 24 hours, so playing out wide could lead to him being on the bench catching his breath more than if in the middle. I like the move, but only in limited instances. -Chad Henne threw for 300 yards, but most came in garbage time. The Patriots pass defense played probably their best game all season. Devon Bess killed them, but when you have so much attention paid towards Brandon Marshall and the run game, someone is going to prosper. Devin McCourty played well again, but surpisingly Kyle Arrington was matched up against Marshall for the majority of the game. Marshall finished with only 5 catches for 50 yards, which was a positive sign for a young secondary that has struggles against big, physical recievers. -Randy Moss trade in the works apparently for a third round pick? No shot in hell. If Moss gets moved, it can looked at exactly like the Seymour situation a couple of years ago. The Patriots may realize that Moss, in the final year of his contract, probably won’t be a member of the team next season, so they will look to move him to get value (ex. Seymour to the Raiders for 2011 1st round pick). But, they will not move Moss unless they get more than enough compensation (think 1st round pick, or 2nd and 3rd, or something along those lines). -This was a huge road win for a team that desperately needed it. I actually wish the Patriots had a game this week just to continue to ride this emotional wave, building on their recent success. But, with the bye week ahead look for Belichick to get the guys focused their week 6 showdown in Gillette against Baltimore. A majority o f the draft picks that the New England Patriots have made since the 2008 season have been defensive players. The Patriots top pick in 2008 was stud linebacker Jerod Mayo, and he is accompanied in that draft class by Terrence Wheatley, Shawn Crable, and Jonathan Wilhite. The team’s first selection in the 2009 draft was safety Patrick Chung, and he is accompanied in that class by Ron Brace, Darius Butler, Tyrone McKenzie, and Myron Pryor. 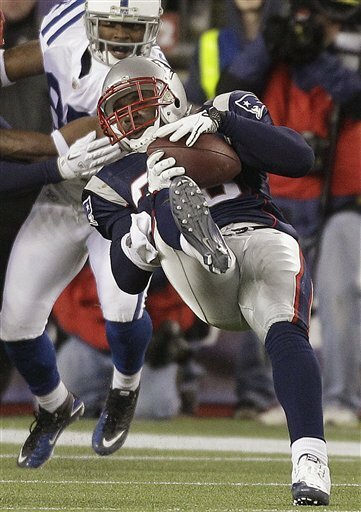 The 2010 draft selections followed suit as the Pats chose Devin McCourty, Jermaine Cunningham, and Brandon Spikes. There certainly was some great offensive talent mixed in those three drafts for the Patriots (2009: Sebastian Vollmer, Brandon Tate, and Julian Edelman; 2010: Rob Gronkowski, Taylor Price, and Aaron Hernandez), but the majority of those draft picks, and more importantly most of the higher draft picks, were dedicated to defensive players. One of the main focuses over the last few years for coach Belichick has obviously been to develop a younger, faster, and more athletic defense. This is the year when all of that work needs to translate into one of the best defenses in the league. The transition from the Seymour, Bruschi, Harrison defense is now complete, and it is time for the new set of stars (Wilfork, Mayo, Meriweather) to step up and make this defense their own. Similarly to the offensive side of the ball, there are many questions surrounding the 2010 New England Patriots’ defense. How those questions are answered throughout the course of the season may very well determine that amount of success that the Patriots have this upcoming season. The de fensive line had always been a spot of consistency for Bill Belichick’s defense. Since drafting Vince Wilfork in 2004, the Wilfork, Warren, and Seymour combination always was consistent and performed their duties wonderfully. The team has just undergone their first full off-season without Richard Seymour, and the right defensive end position is an area of concern. Free agent signee Gerard Warren seems to be the front-runner to fill the void at right end. But, don’t discount the skill set and experience that Mike Wright brings to the table. Wright has been the fourth lineman, filling in at both the nose and two end spots, for the past four seasons, and dangling a starting position in front of him will certainly elevate his play. Defensive line depth is certainly a strength for the Pats as backups consist of previously mentioned Wright, Myron Pryor, Ron Brace, and 2010 seventh round draft picks Brandon Deaderick and Kade Weston. The one position group that has me most excited for the 2010 season (and actually even more excited for the preseason games to see the young kids play) are the linebackers. In my opinion, there is only one linebacker spot filled, and that is with Mayo in the middle. I know that it is highly likely that Tully Banta-Cain will be starting come opening day, but with so much young talent and athleticism behind him it may be tough for him to keep that spot. I really hope that Brandon Spikes begins the season as a starter alongside Mayo, but just the other day Belichick was talking about how different the Patriots’ defense is than the Gators’ defense, which may slow Spikes’ arrival into the starting lineup. Once Spikes nails down the playbook and becomes comfortable in the defense (which is something that Adalius Thomas and Derrick Burgess were never able to do, so it is no easy feat) he fits perfectly into the Pats’ 3-4 defense and will be a certain upgrade to Gary Guyton. Speaking of Guyton, he better get onto the practice field because Spikes and Tyrone McKenzie are gunning for his spot. McKenzie apparently used his season on IR to his advantage as he was receiving praise from Belichick about his knowledge of the playbook. There were high hopes for McKenzie (2009 3rd round pick) as a rookie, but his season was derailed by a torn ACL. In 2010 McKenize hopes to push for a starting spot, and would also be an upgrade to the undersized Guyton. As for the remaining outside linebacker spot, your guess is as good as mine. Rookie Jermaine Cunningham has the natural ability to play the position immediately, but he is changing positions (from defensive end in college to outside linebacker in the NFL) along with trying to pick up one of the most difficult defensive systems in the league. I expect Cunningham to contribute more towards the end of the season rather than at the beginning. Remaining players consist of Pierre Woods, Shawn Crable, and Rob Ninkovich. I don’t see any of those guys as viable starters in the league. One area I would like to see the Pats explore is signing Aaron Schobel. Schobel has been a pain in Matt Light’s side since arriving in Buffalo in 2001. His rushing ability alone would make him a good addition to this Patriot defense. Brandon Meriweather is a Pro Bowl safety that will be a staple in the Patriots’ defense for years to come (pending any Mankins-like contract issues). Addressing the free safety spot is where it gets interesting. James Sanders has the experience factor and certainly does what is asked of him, but he lacks big impact in the run game and rarely makes big-time plays. Pat Chung has apparently made great improvements in the off-season and it primed for a big year. Chung dedicated his off-season to hitting the weight room and studying film. I expect that Chung will overtake Sanders for the starting free safety spot by at least mid-season, if not by the opening game. Simlarly to Pat Chung, Darius Butler spent most of his off-season hitting the weights and watching tape. Butler is one of the most physically gifted corners in the league. At 5’11” 190lbs, Butler posted a 4.4 40-yard dash and a 43” vertical jump. Those numbers alone make him the most athletic corner on the roster. Combine that athleticism with ball-hawking instincts and you have a great corner in the making. I expect 2010 to be Darius Butler’s breakout season and for him to be supplanted as the starter alongside Leigh Bodden for most, if not all, of the 2010 season. Bodden is pretty solid and you know what you are getting from him. The Patriots were sadly a victim of a poor cornerback market this off-season, considering Bodden was the second best corner available. But, his experience complimented with Butler’s athleticism should be a decent 1-2 punch. The third cornerback spot looks to be locked up for the moment by Jonathan Wilhite. Wilhite’s play has been nothing short of inconsistent, but his talent level certainly makes him the best option to play the nickel. 2010 is a make or break season for Terrence Wheatley. 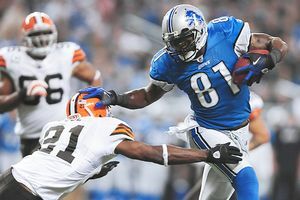 Expectations for Wheatley were high after being selected in the second round of the 2008 draft, but he has struggled to stay on the field and when he has played he has looked very sloppy. Another bad season and Wheatley’s days in New England will most likely come to an end. Rookie cornerbacks have notoriously struggled in Belichick’s system and I do not expect that to change with Devin McCourty. The 2010 first round pick is an exceptional athlete, but any contributions outside of special teams will be an unexpected bonus. As for the special teams, Gostkowski is one of the most consistent kickers in the game, and in my opinion signing him is priority number two, after signing Mankins. The punting position seems to be rookie Zoltan Mesko’s job to lose. Mesko has seemingly impressed so far in training camp and I fully expect him to win the job. The return game has been a sore spot for the Patriots for a few seasons now. Last year, the combination of Maroney, Slater, and Edelman taking back kicks never really got the job done. I expect McCourty to return kickoffs this season (maybe with some help from Brandon Tate and Taylor Price) and hopefully use his exceptional speed to grab a few touchdowns. Punts will most likely be returned by Kevin Faulk and maybe occasionally by Welker. Although I hate seeing Welker back to return a punt as that is just one more play where there is a risk of injury. “Well, right now we’re just focusing on coaching the players that are here, I think we’ll go out and get things done, hopefully have a good practice today, and that’s where our emphasis is: the guys that are here.’’ Those were the ever-predictable words of New England Patriots’ head coach Bill Belichick yesterday in response to a question regarding Logan Mankins’ contract situation. Did you expect anything else? Would you like Belichick to come out and say, “Oh man I don’t know what we are going to do without Mankins here, that beard is just so amazing!” If that came out of Bill’s mouth, then you know that something would seriously be wrong. I understand Logan’s point of view. The man has performed since the day he put on a New England Patriots’ uniform. 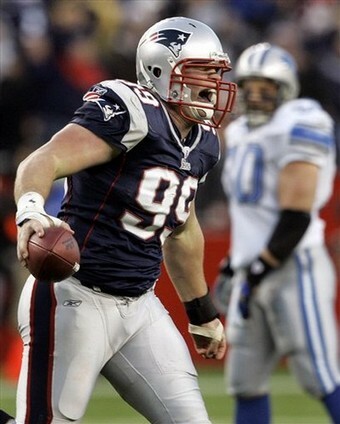 Ever since being the 32nd overall pick in the 2005 NFL Draft, Mankins has been a model of consistency on the field. Starting 16 games every season since being drafted, Logan was selected as a Pro Bowl starter twice (2007, 2009). So, does he deserve to get paid? Yes. Should the Patriots pay him? Absolutely not. 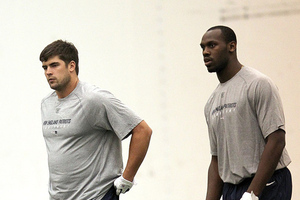 Nobody in the NFL really knows what is in store for the 2011 NFL season. With the current Collective Bargaining Agreement situation completely unresolved, it is becoming more and more likely that there will be no football in the 2011. Why would the Patriots dole out presumably top five offensive guard money (Saints’ guard Jahri Evans recently signed a 7-year $56 million deal) when they have no idea if they will play any games next season? So, for Mankins to vocalize his disappointment isn’t completely outrageous, but he needs to realize that the team is in a very awkward position. Balancing player happiness (or at least content) with being fiscally responsible is a fine line to toe, and we all know that if the Patriots waver off the line at all, it is certainly always towards the fiscally responsible side. Also, let us not forget that back in December Vince Wilfork was a very large unhappy man. He was complaining about the team not being loyal to him, vocalizing his desire to play in Miami, and voicing his complaints about the team’s disrespect towards veteran players. But, sure enough the Patriots took care of their core players and gave Wilfork a 5-year $40 million contract. I say this to you Logan: Stop complaining, bitching, moaning, and requesting trades, because as soon as the Patriots know when they will be playing football again after the conclusion of this season, you will get paid and be a Patriot for a long time to come.